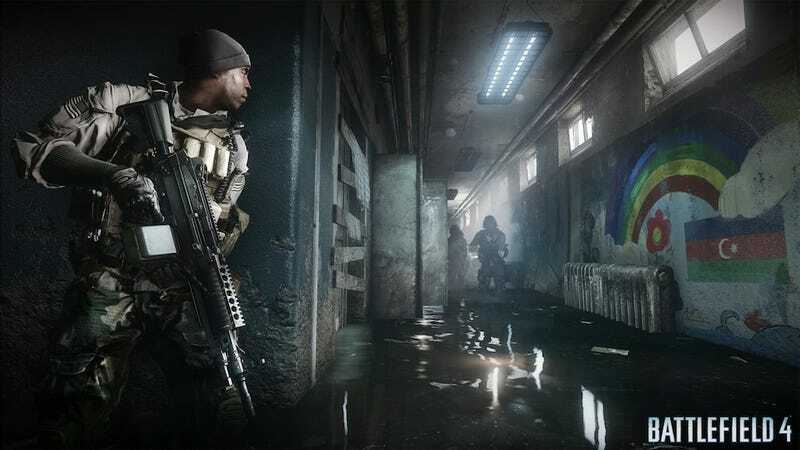 I sure wasn't expecting there to be any pretty, pretty rainbows in Battlefield 4, but from this new screenshot released by EA, it looks like there'll be at least one. And aw, look at that, it's got a flower, too! And Michael "Omar" K. Williams' character, holding a huge machine gun. Use our image-annotation to let us know what else you see.